There is nothing more satisfying than knowing we have worked our tails off in order to make someone super happy. We do our very best for each and every one of our portrait and wedding clients, and we simply love hearing about how much they enjoyed working with us. It's true what they say, "Find something you love to do, and you'll never work a day in your life." It's work (don't get us wrong) but it's so very rewarding. We want you to feel confident in knowing that we'll take good care of you. Check out all our recent raves on Wedding Wire. Chris and I want to extend our deepest thanks and gratitude for all of your beautiful work to make our wedding weekend so memorable. From our website, to the engagement shoot, to your breathtaking wedding photos, the list goes on! We absolutely loved working with you, Mark. Working with Zofia was a dream come true. Before we got engaged, I had been (not so secretly!) admiring Zofia's photos and blog posts, so when we got engaged I knew that we had to work with her! Throughout the wedding planning, Zofia was always a quick email away and was quick to respond to whatever fleeting question I had. She was flexible and understanding. Our engagement photo shoot in July was one of the best days of our engagement. We loved having the chance to get to know Zofia, and she made us feel so comfortable with her, which in turn made our photo session go much easier. My husband typically hates photos, but loved having his picture taken by her. Come to our wedding day, Zofia and Becky were incredible. They were discreet, fast, and made us feel so relaxed. I actually didn't know where they were the majority of the day/night!! Her work is amazing, and the end results show it. Zofia takes traditional wedding portraits, but she also captures casual moments throughout the day and evening that really speak to your love and wedding and ultimately tell your story. Zofia was incredible. We did not do a traditional 1-hour photo session as we really wanted to enjoy the day. It was our desire to have mostly candids and to have Zofia and her staff just grab guests and wedding party members for quick shots. She knocked it out of the park. She and her crew were barely noticeable and yet we have an amazing set of photos. She put a blog and preview out for our event inside of a week. I cannot say enough good things about Zofia and her team. I was blown away by her photographs from my wedding on Nantucket and could not have been more pleased with her professionalism, responsiveness and sense of humor throughout the entire process. She is truly talented and I would recommend her to anyone looking for a photographer for their wedding, holiday card, family portrait, etc. When trying to select our wedding photographer, someone gave us the advice that you should pick a photographer who doesn't just take beautiful photos but creates art that you would want to hang in your home. Once we heard that, the choice of Zofia and Co. was obvious. Every photo from our wedding day is perfect. 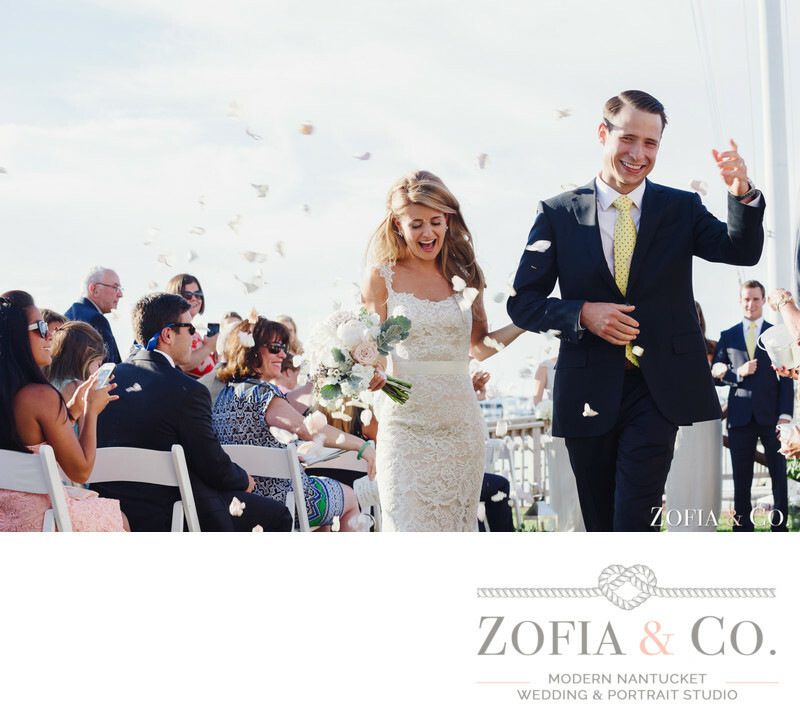 Zofia and Brian captured moments, big and small, that we will look back on with such joy. We can't wait to hang our photos in our home and share them with our loved ones. If we had to do it all again, there is no doubt in our mind -- we would work with Zofia & Co in a heartbeat! Booking Zofia for our wedding was one of the best decisions we made while planning - she was amazingly easy to work with, and all of the pictures from our wedding day are beautiful! Zofia was great at communicating with us, and helped to make planning a wedding from another state very easy. Leading up to the wedding, she stayed in touch and sent us great information along the way (often answering questions I hadn't even thought of yet)! On the day of, Zofia and Brian were great. They captured all of the people and moments most important to us, were fun to be around, and worked so efficiently that we kept forgetting they were there. We were amazed by the finished product, and have loved going through our beautiful photos over and over again. Wow! We have the most amazing pictures that capture our magical wedding weekend! I knew from the moment we stepped into Zofia's office that she was the photographer for us. The candid color and black/white canvases that greeted me were exactly what I wanted. Zofia was a pleasure to work with from the start. She was responsive to emails and helped organize a timeline for the day that allowed us to enjoy time with our guests. She's very professional and blended into the scene while documenting the emotions and love from the day. We loved getting the sneak peak the next day and her blog only a week later. We're just finishing up picking pictures for our album...it's nearly impossible! Too many good ones. Zofia was an absolute pleasure to work with and my husband and I were so excited to have the opportunity to have her photograph our special day. Photography was at the top of our list for important things to book prior to our wedding. When we asked our family members, who have a background in photography, which photographer we should try to book for our wedding – they immediately responded with Zofia & Co. It is safe to say that this is one of the best decisions we made and we are thrilled with the outcome of their work. Zofia and Brian were both with us on our wedding day and truly captured the feeling, emotion and excitement of our day. They are both extremely talented and knew exactly how to get all of the best pictures with our venues, lighting, scenery and guests. Zofia and Brian's knowledge of the island made for a very smooth day. They were very respectful of our guests, unbelievably professional and managed to get a picture of every single aspect and detail of our celebration. Working with Zofia after the wedding has been a breeze and we have loved seeing all of the pictures. From her blog, the proof book, online website and photo books – it has all been perfect. Mark and Zofia were incredible to work with. We can't imagine who would have shot our wedding better. It was a dream come true. We love how they captured these special moments of our lives in such a natural and fun way. They are so extremely talented and easy to work with. 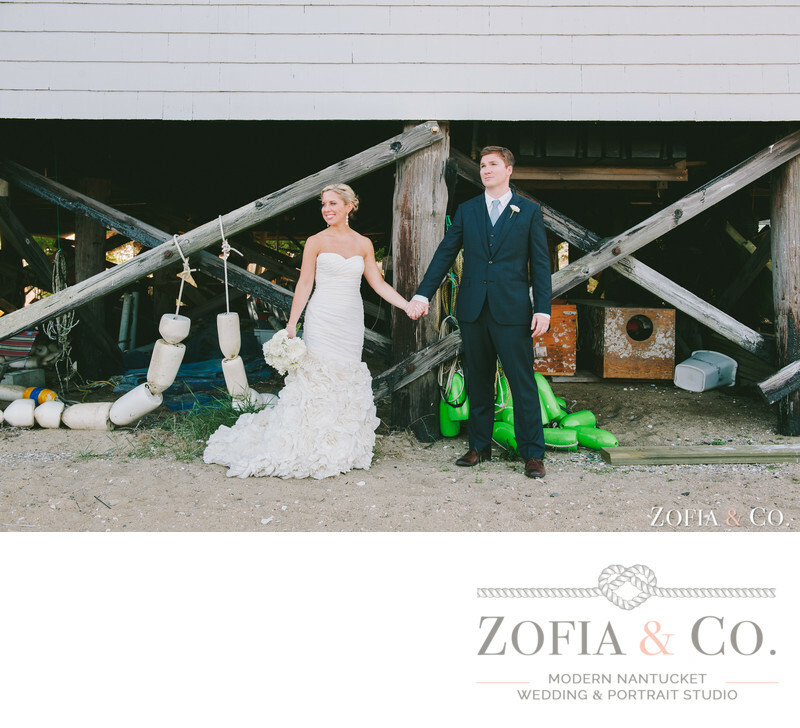 We were so fortunate to have been able to work with Mark & Zofia! I was a little anxious about the logistics of photography on our wedding day prior to booking Zofia & Co. But, having them on our side made everything so easy! From our laid back engagement session (Zofia knew all the best places to go, zooming us from location to location to make it fly by), to their responsiveness to every single e-mail, to the actual wedding, they eased our every worry. Their professionalism allowed them to take every shot without us having to miss a beat. Because we did not want to see one another prior to walking down the aisle, this left little room for us to also enjoy the happy hour with our guests. With these two behind the camera(s), they were able to get a bunch of good shots of our family members and wedding parties beforehand, leaving just a few portraits for after the ceremony. The two of them blend right into the party because they are having so much fun and photographs were never the center of attention. I cannot thank Mark and Zofia enough for taking the most beautiful engagement and wedding photos. The photographs are amazing. I have received so many comments from family and friends that Zofia's photos are some of the best they have ever seen. They were both so nice and easy to work with. Mark did such a wonderful job on the engagement photos. Zofia's wedding photos were gorgeous, I couldn't be happier. They were also extremely professional and responsive to all my questions and concerns. 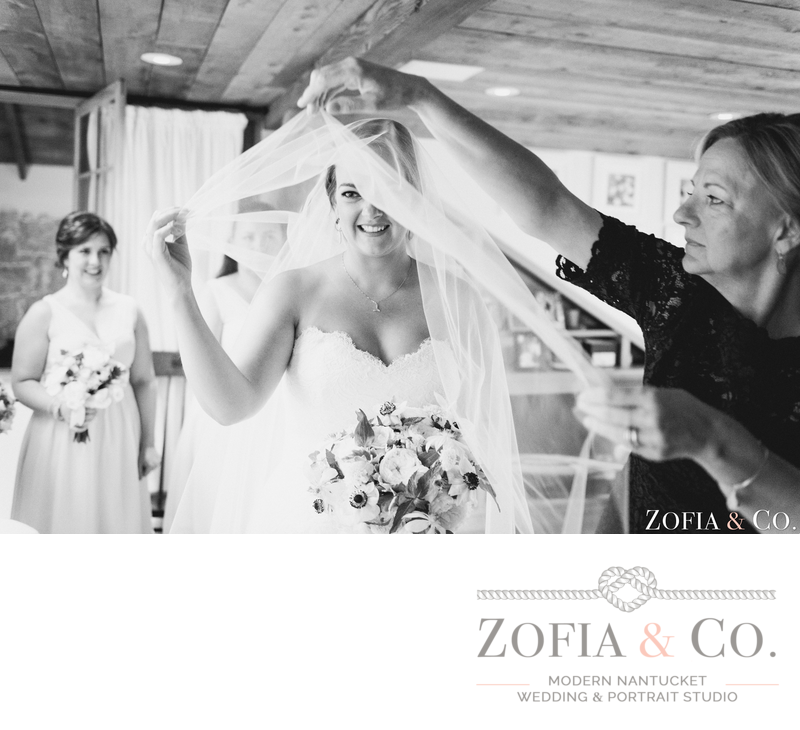 Zofia was absolutely fantastic- from the first interaction to the photo books and prints I have ordered months after our wedding. I knew I wanted to use Zofia based on photographs I had seen of other weddings she had done, and from our first meeting, we knew she was exactly what we wanted in a wedding photographer! She gave us sound advice about engagement photo dates and timing, was able to work with us when weather was an issue on our engagement shoot date, and even helped maximize our wedding package by having Brian come out for our rehearsal dinner to capture the evening. 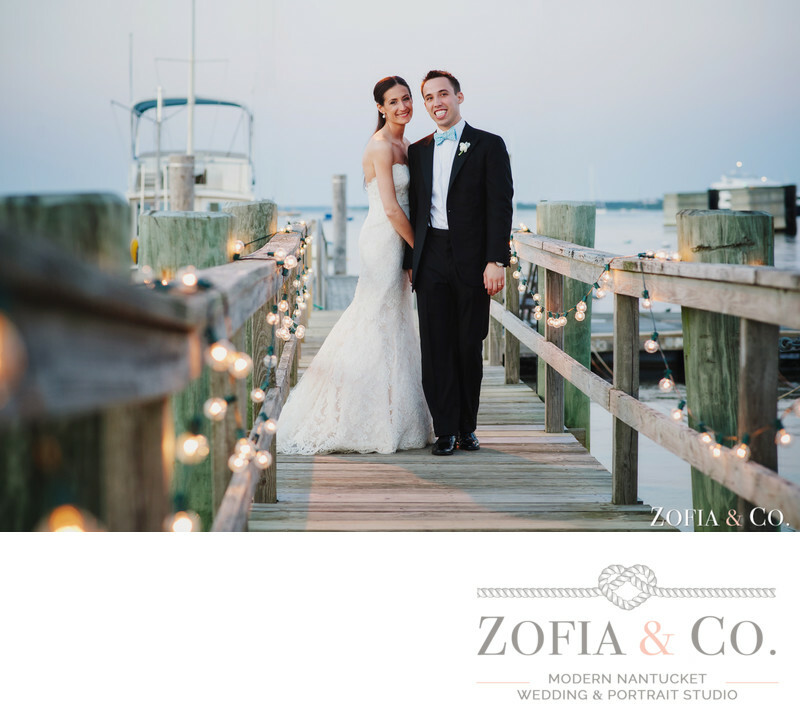 We had our wedding at Great Harbor Yacht Club and Zofia knew exactly what to do in terms of where to shoot from, how to capture the best angles, and when to bring us out for sunset (or when to capture the perfect sunset shot with no guests in it!) She and Brian were snapping away the whole night, but no one ever felt as though they were "in the way" or obstructing any part of the wedding. We are absolutely thrilled with all of our prints (she sent us a proof book with a quick turnaround and it has been so exciting to choose pictures for our photo albums and prints). Her picture are not "formal" or "staged" -- very natural and candid. Suffice it to say- we loved Zofia and would highly recommend her to anyone! 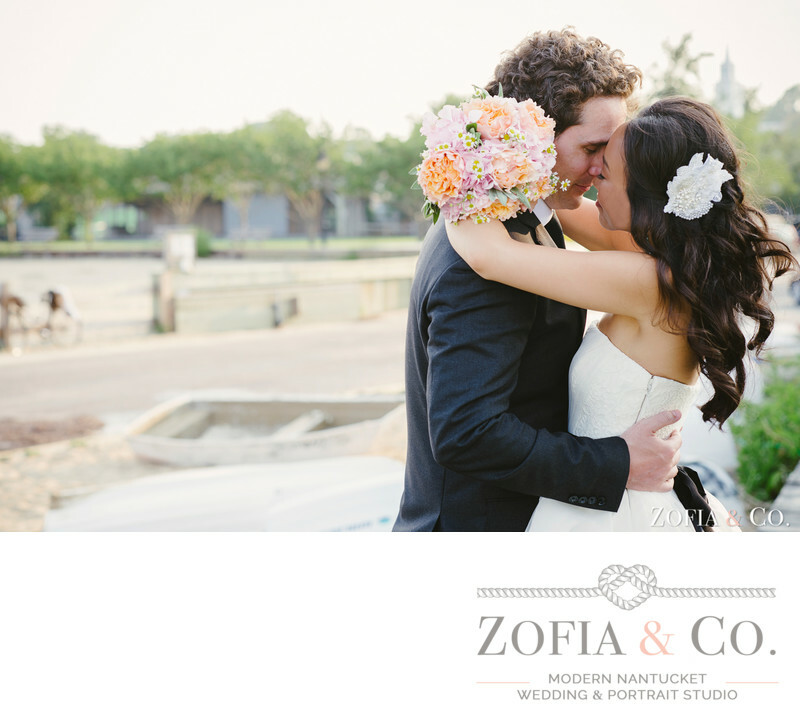 We had the pleasure of having Zofia and Brian photograph our wedding and we could not have been happier! We originally saw Zofia's work on her website and were amazed at her use of light and how she was able to show so much about each couple through her images. We first met in Zofia & Co.'s beautiful Centre Street studio (now shared with the incredible Dawn Kelly!) and we were surrounded by really fun examples of their work (they do tell you 'photos are meant to be printed!') and we were so impressed and couldn't wait to see how she would capture our big day. We were able to be specific with certain shots we knew we wanted to have (certain family portraits, groups of friends, meaningful details) but we also knew we could trust Zofia's eye to capture our moments in a way we would love. She combines a true level of caring for her clients with an incredible level of talent and the outcome is better than you imagined. After admiring their work online & in various publications, booking Zofia & Co to photograph our wedding was a high priority on our wedding to-do list. Zofia and her team were so wonderful to work with throughout our whole planning process and Zofia and Brian were amazing photographers on the big day. They were so professional and responsive to any questions we had and made us feel at ease while taking our photos. 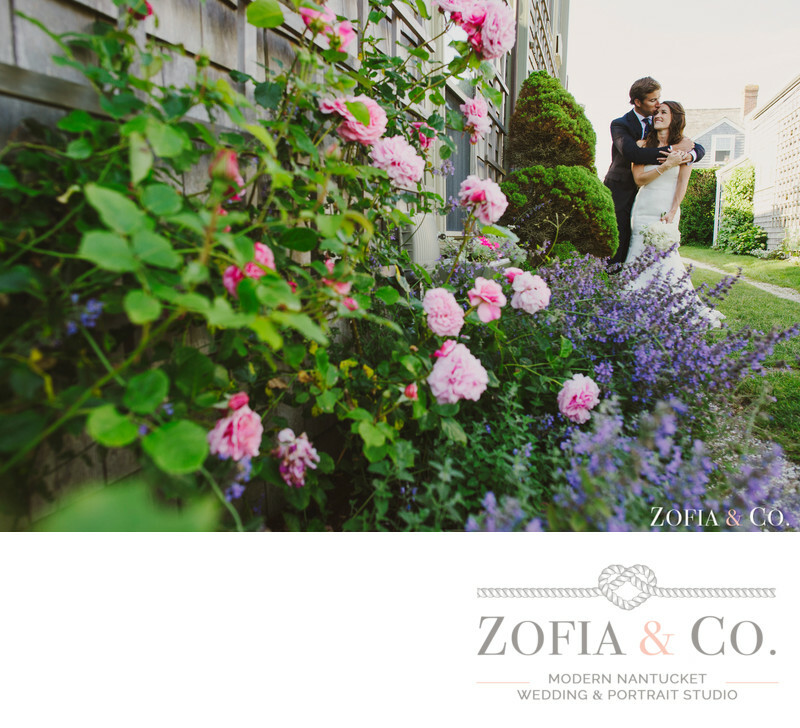 It was so nice working with photographers who know the island so well and know the best spots to find great lighting or in our case, a house in 'Sconset that had a dahlia bush that matched the flowers in my bouquet exactly. While wedding planning can be stressful, working with kind and patient people like Zofia & Brian made everything run so smoothly. We knew the photos would be beautiful but their work exceeded our expectations and we are so happy with the photos and our beautiful wedding album. They captured the feel of our wedding day perfectly. We received so much positive feedback on the photos from friends at the wedding and friends-of-friends who had seen them on the site. 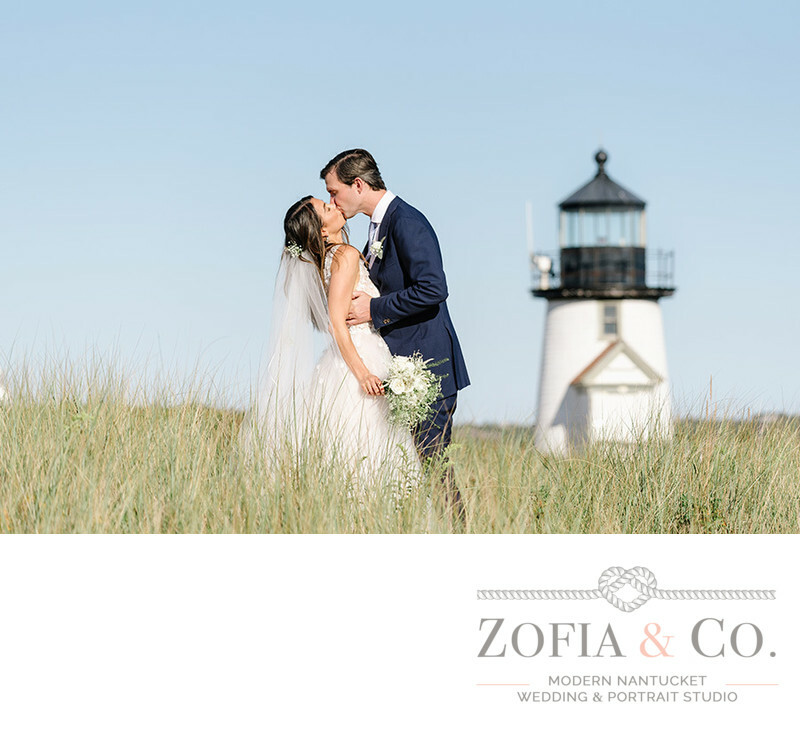 With the wedding now behind us, I still love keeping up with their blog to see the beautiful photos and know we will always give them a call for any big events in the future and of course, recommend them to any friends getting married on Nantucket. 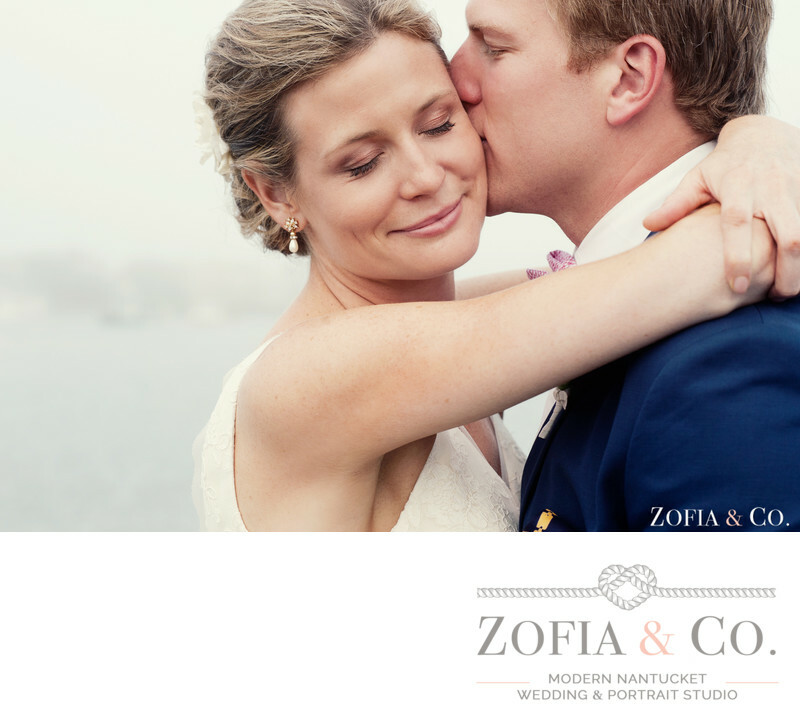 Zofia and Mark are absolute gems and truly a pleasure to work with. Our experience with them was phenomenal and we still glow every time we look at our pictures to re-live our wedding day, which we find happens often! They captured all the special moments from my sister-in-law pinning my great-grandmother's wedding dress lace to my dress to our flower girl peering down the aisle to my husband's face seeing his sailboat groom cake at the reception plus many, many more that would honestly take hours to write! 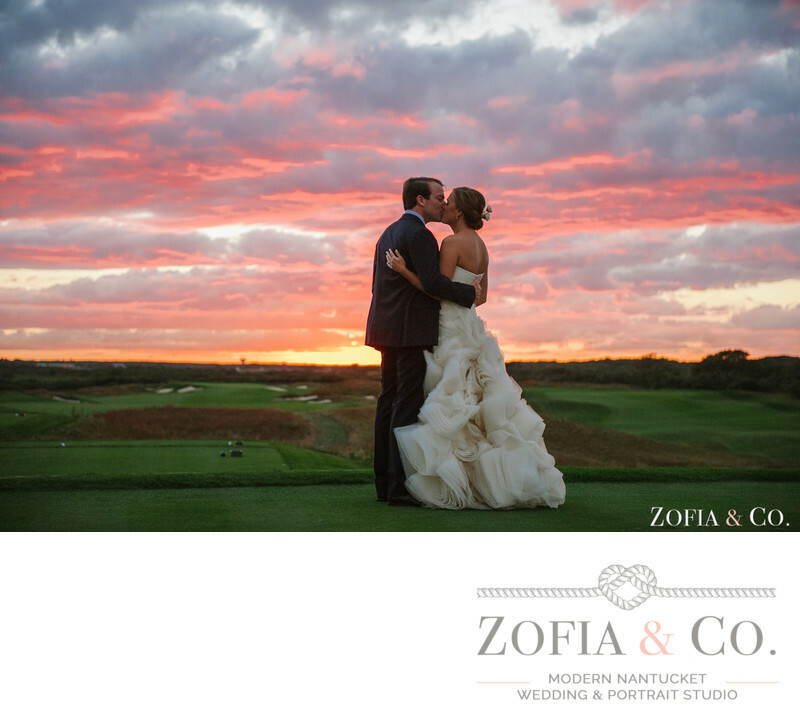 We will forever have the happiest memories through pictures of the emotions, love, radiant light & colors (ahem sunset and moonrise) and details of family and friends smiling and laughing on Nantucket that these two captured on our wedding day. Zofia and Mark take the time to get to know you as a couple and make it a priority to get to know the VIP family members/friends to ensure moments with the bride and groom are captured with those who matter most. I cannot thank you enough for taking the most AMAZING photographs of our engagement and our wedding. The photographs are phenomenal. 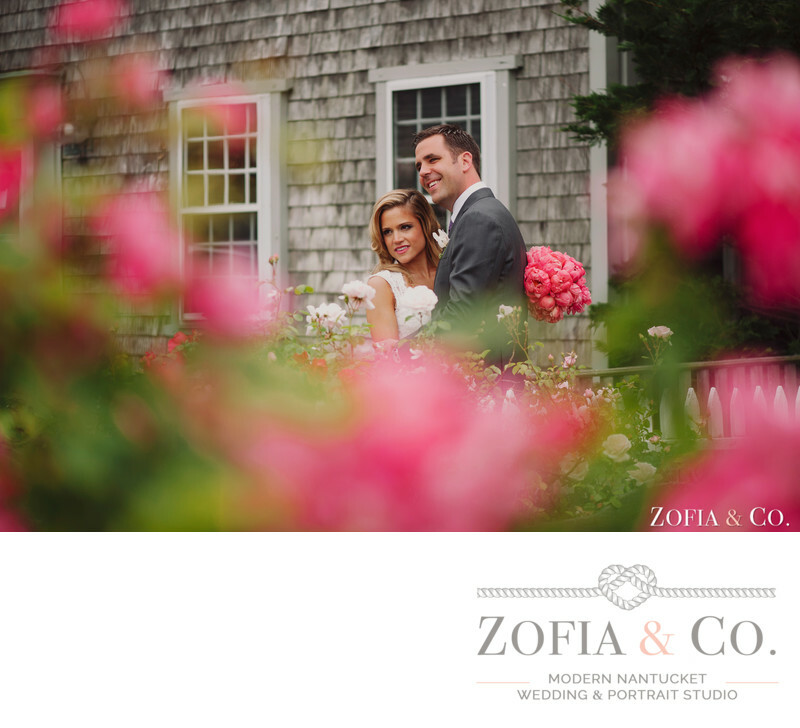 To all the soon to be brides getting married on Nantucket, Zofia & Co. are hands down the most talented photographers on the island, if not the world. There is an immediate connection with both of them as they are so friendly, calm and just truly wonderful. They are salt of the earth kind of people who you will want to hang out with all the time. We just got married last weekend and I have already looked at our wedding blog 20+ times, not to mention the 100+ times I have glowed at our engagement session. 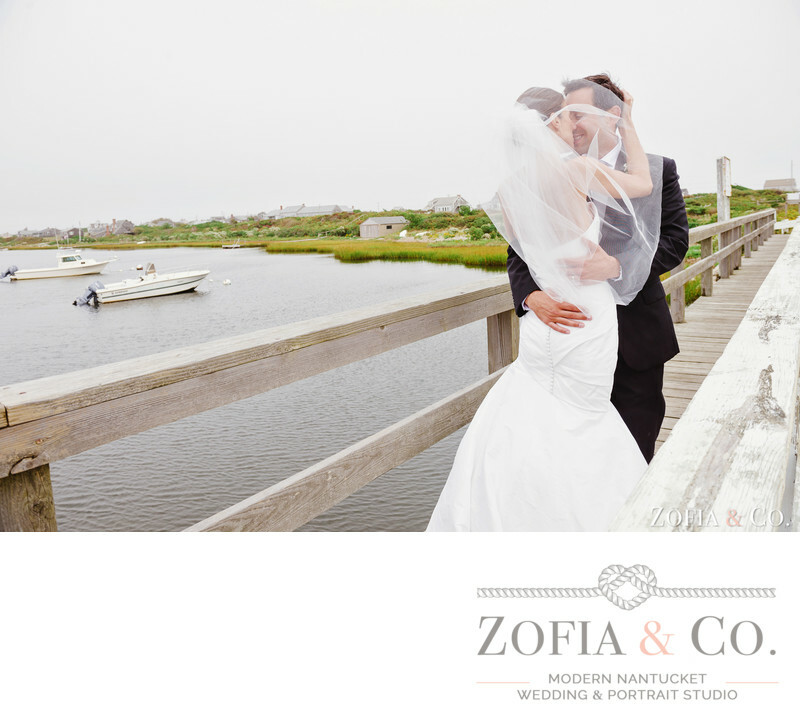 Zofia and Mark have an innate quality in being able to show the passion, love, feeling and excitement Alex and I have for each other and for Nantucket. I get the chills and smile every time I look at our pictures. Although we have only seen our blog, Mark captured so many amazing moments, from the details of my dress and shoes, to Alex getting ready with his friends, to our walk down the aisle and all the details and color of the tables, flowers and the beautiful setting of the White Elephant. Thanks to Mark, we have the most wonderful memories to frame and admire for the rest of our life. In the chaos of the wedding, it is great to have vendors who have a calming and comforting presence and Mark did just that. His demeanor was a perfect fit for Alex and I, both before the wedding and then taking our post wedding photos during the cocktail hour. They are also extremely professional and responsive to all my questions and concerns. Zofia put together our website which had a considerable amount of detail. Any changes I needed, she completed expeditiously and without question. 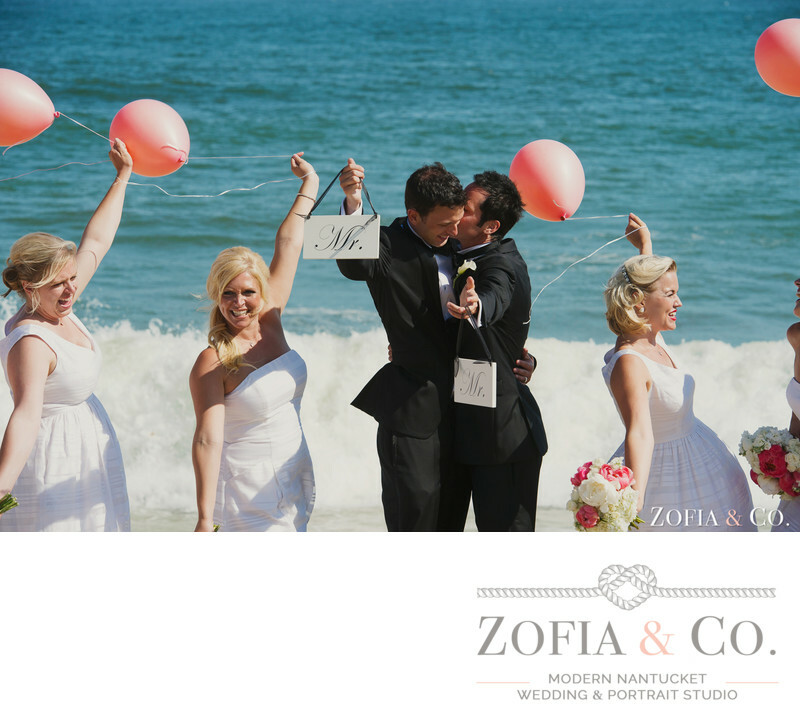 Zofia & her team are true professionals at wedding photography and photo editing. Zofia has a natural ability to seek out the perfect lighting and angles for the most amazing pictures -- just look at her blog and you'll see what I'm talking about. Zofia takes pictures rapid-fire and with stealth -- ensuring that not a single moment is missed. Our family & friends and my husband & I adore ALL of the pictures that she took. 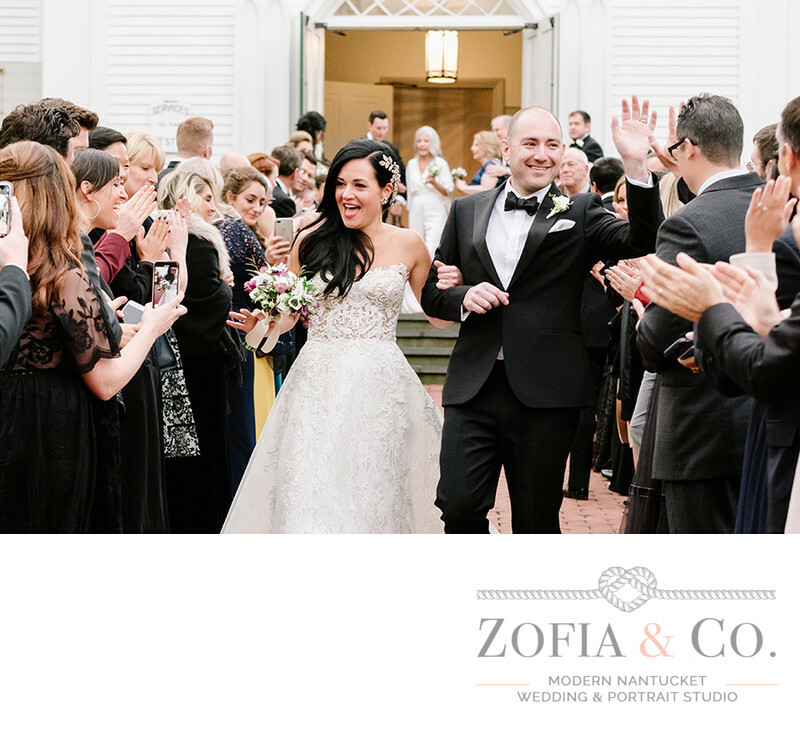 My husband Todd and I have not one negative thing to say about our experience with Zofia & Co.
Mark was such a pleasure to work with and completely understood everything we were going for on our wedding day. With all the headaches that planning a wedding can bring, choosing Zofia & Co. was the very first thing we did after we got engaged. 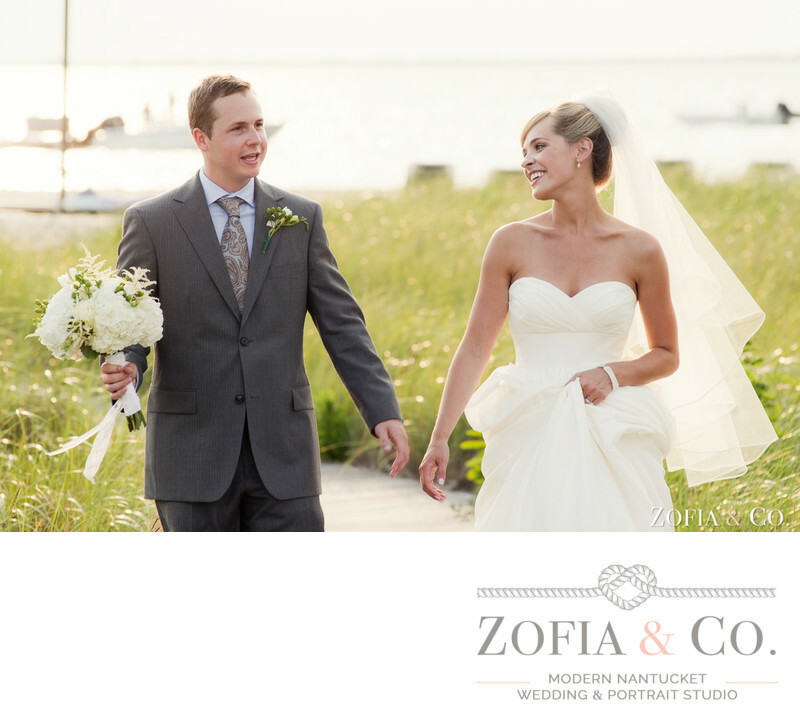 All we knew was that we were getting married on Nantucket, and we didn't care where, as long as we had someone from the Zofia team present! The wedding day is exciting and overwhelming and you are distracted the entire day, Mark was well aware of the flow, and in tune with everything that was happening. Plus his appreciation for a British sport car won my father over in a heartbeat! He completely understood my laid back no fuss attitude on the day of the wedding. The photos were probably the most important to us, and we wanted them to feel natural. Mark completely got it, and just went with the flow. His creative eye captured things I didn't even notice or see – so we cannot thank him enough for giving us our visual memories. He captured the happy moments the sad moments, and everything in between. We honestly cannot begin to thank him enough. I would consider having a great photographer as one of the essentials for a wedding. It is really all you get to walk away with after the party is over. Zofia & Co. is the absolute best there is, and they are a must have. They know the island so well, the lighting, and skies, the unique picture spots, etc. so you come away from the experience with photos you only dreamt of having! If I could give a single piece of advice to give a newly engaged couple it would be to use Zofia and Mark as photographers for your wedding. They are the absolute best photographers in the market in addition to being extremely professional and kind and wonderful people. My new husband and I are so incredibly happy with their work, and the whole experience of working with them. It was the very best decision we made in the whole wedding, save the decision to marry one another. They captured our wedding day perfectly - the colors, the feeling, the sweet moments, the energy and the joy. 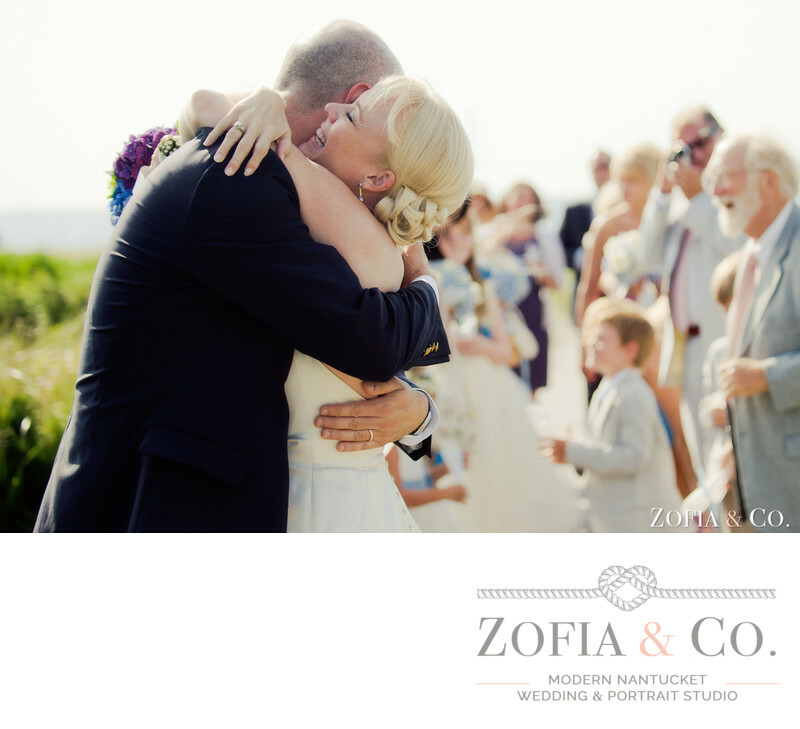 The photos speak for themselves but David and I could not have been happier with Zofia and Brian's work! 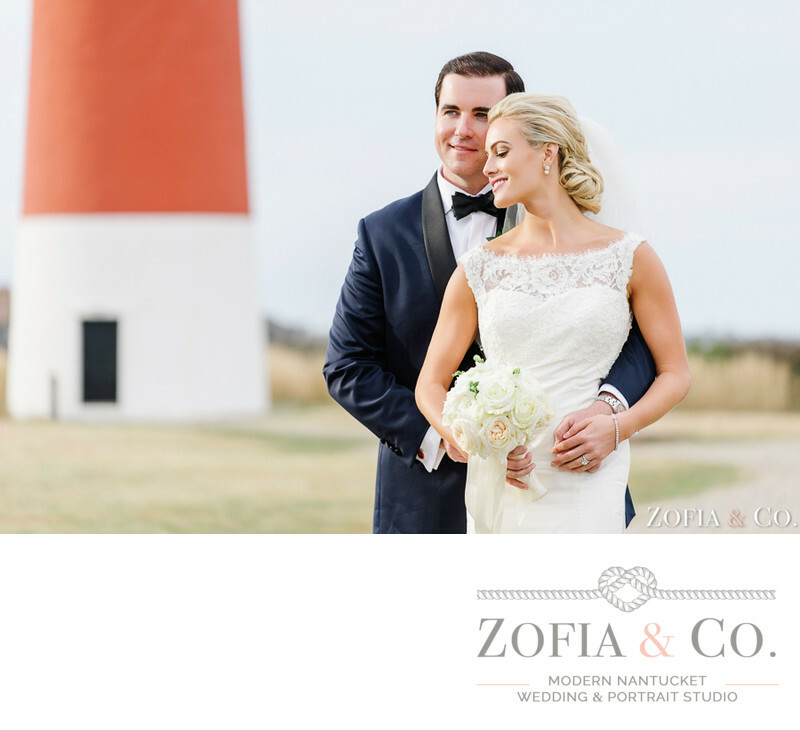 Not only is Zofia a spectacular photographer and her eye for beautiful pictures is amazing but Zofia lives, breaths and has the perfect eye for Nantucket. During the planning process, Zofia was completely responsive and most importantly was a true 'local' to bounce ideas off of. Zofia's lightning fast turnaround for the preview pictures was phenomenal! Less than 2 days after our wedding, we were able to re-live the entire day through her stunning wedding photos that captured the emotions from the day perfectly. Our families have been raving about the photos and they 'went viral' at my office. 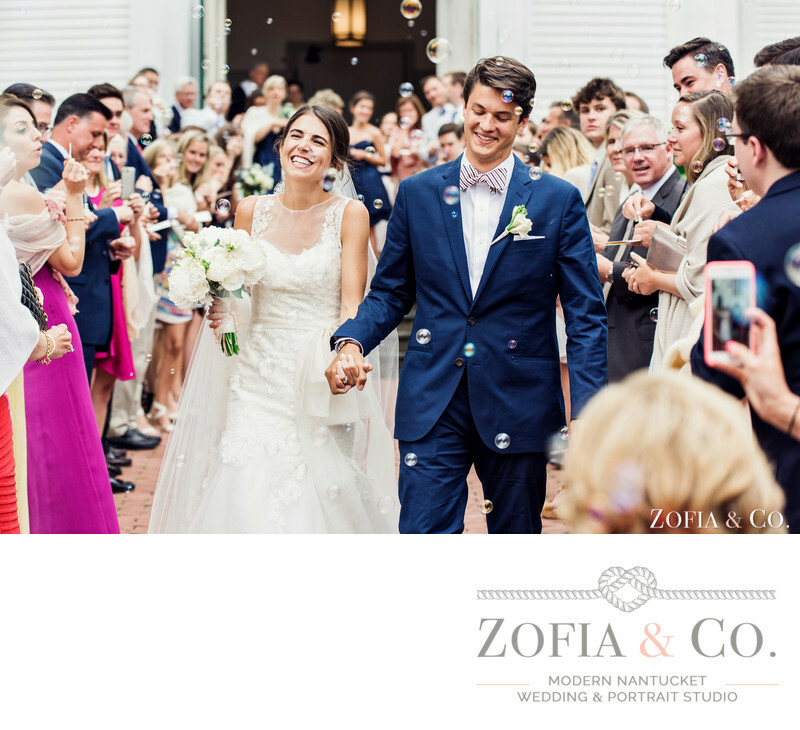 We got the idea to ask Zofia to shoot a piece of our rehearsal dinner after seeing other photographs from prior Nantucket weddings that she shot and we are so glad that we did! To have two days of professional photographs to capture our wedding events is priceless. Our only regret? (well two) I really regret not having Zofia for the entire wedding reception. We had a small dinner reception and originally thought that a few hours of coverage for the pre-wedding, ceremony and start of our wedding reception would suffice but after living through such a special and emotional day and seeing the amazing photos that Zofia and Brian captured while they were with us, I regret not having them stay for the entire evening. The lighting changes, the candles get lit, families are laughing and toasting and I know that we would have had even more photos to look back on fondly. Second regret - not doing an engagement shoot with Zofia! That said, the wedding photos that we do have are absolutely amazing and bring a smile to our faces every time we look back at them. 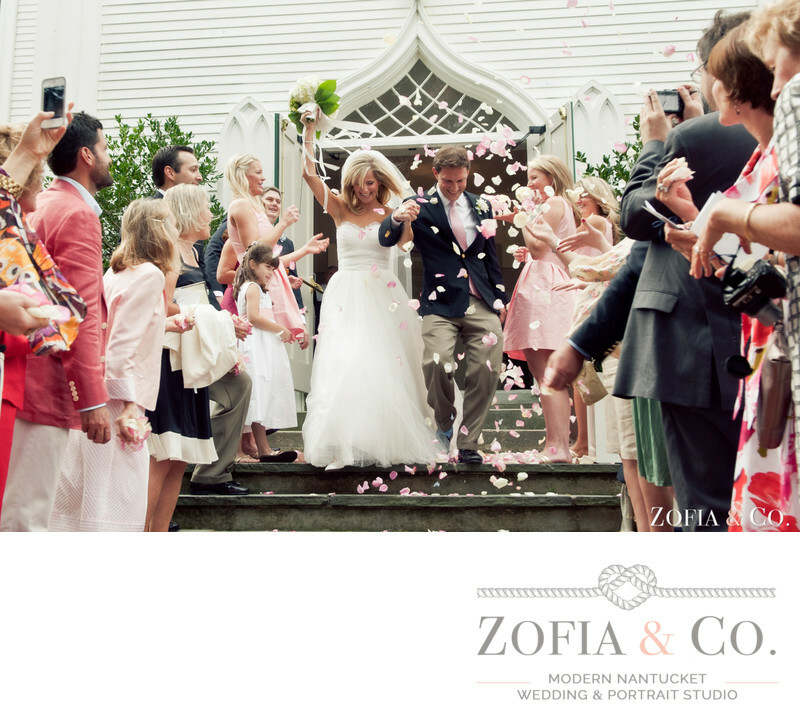 Simply put, Zofia & Co. photography is spectacular. In addition to being extremely talented with a camera (the images she captures speak for themselves), Zofia is extremely professional and responsive and an absolute pleasure to work with. In the initial stages of planning our wedding, my husband and I decided that having fantastic photographs was a top priority. ...she helped us to relax and (shockingly) to have fun while she was shooting. So for three days all I have done is look at the photos on your blog. Pathetic? You decide. :) I know I thanked you a million times already, but since I love detail I have to get into a little more detail about why I am thanking you both! We all know that I am the biggest poser, photo-bomber, cheese there is... But what you did was capture "real moments" that can NEVER be posed. There are some photos on your blog that I truly remember what I was feeling in that moment that I forgot about because it all became a blur and I didn't even know or care there was a camera on me. I love the one you put in black and white and I am hugging Santi in the grass. I was thanking him for the present he got me. I would have never remembered that moment if not for that picture. There are tons more like that. I love posed shots with balloons, signs, lifts, fake laughs, jumping, but I never realized how amazing a "real" photo can be. All the details, props, money, planning in the world can't get you that! The picture of us kissing with the rice falling in black and white is amazing! Possibly my favorite! The jump shot at the rehearsal dinner on the pier is incredible. So neat. We looked at it and I told Santi he needed to turn his feet out on his heel clicks! :) He didn't find that funny! That stream of pictures of us jumping is sooooo Us it's not even funny! I love the head table picture with the tent and us kissing. Thank you for taking the picture so we can always remember the beautiful sunset on our wedding eve. Well, I could go on and on, but I just wanted to let you guys know that you are both so talented and appreciated for what you do! Zofia and her husband Mark did an amazing job at our wedding! From our very first meeting, Caroline and I knew that they were absolutely perfect for the job and were going to make our wedding weekend so memorable. They are the perfect kind of photography duo because they know each other so well and spend the time to get to know the bride and groom so well. Because of their hands on approach, they were able to nail the grace of our wedding weekend. 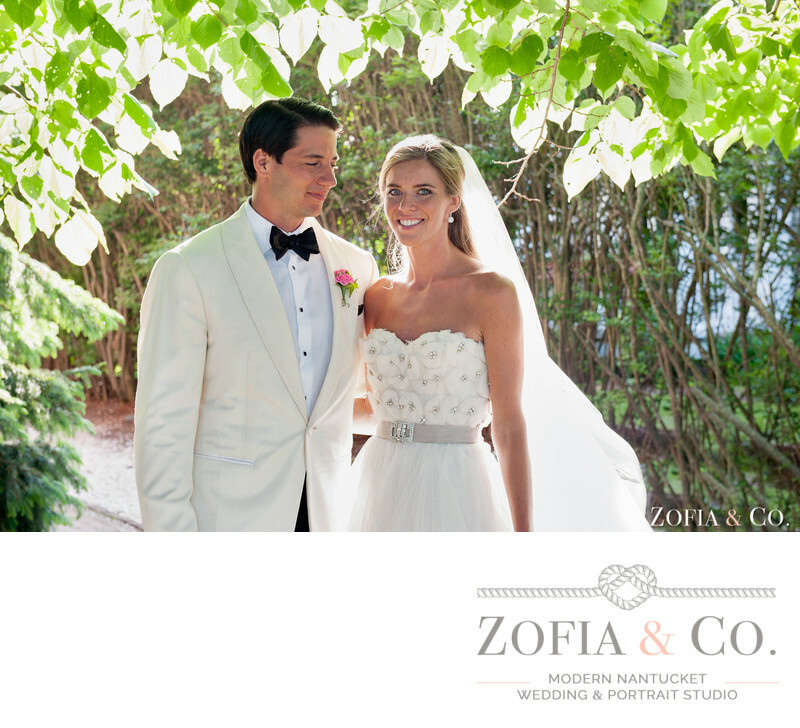 The day we stumbled upon Zofia's blog, we knew we wanted her to be the photographer for our September 3, 2011 wedding on Nantucket. We enjoyed two engagement sessions over the next year during our visits to the island for vacation and wedding planning, and by the time our wedding day rolled around she had teamed up with her husband Mark. From the rehearsal dinner to the brunch, you both managed to be everywhere and nowhere at the same time, which is exactly what Jarred and I were looking for in wedding photographers. 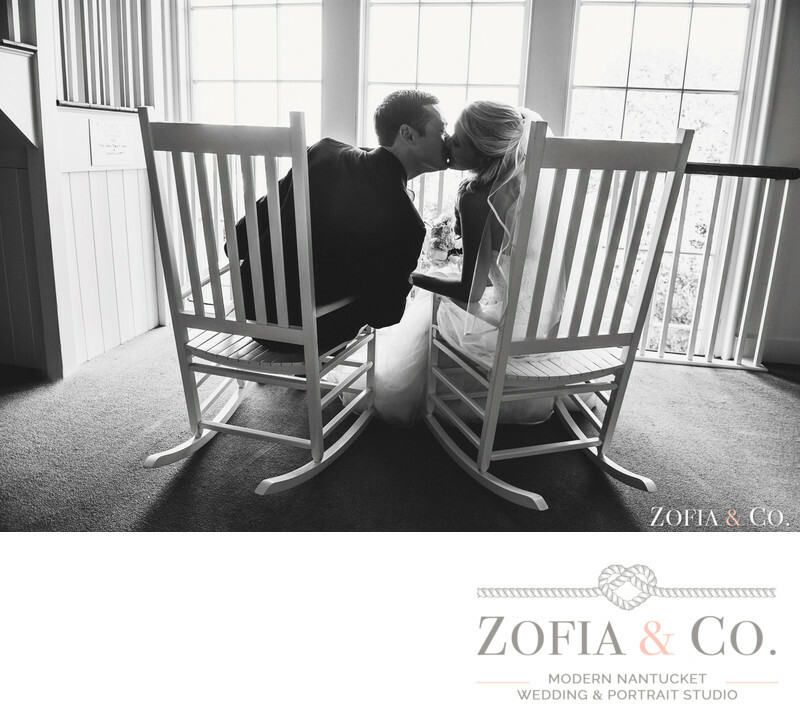 We absolutely treasure our photos done by Zofia & Mark! They were so creative and captured the essence of our wedding. They did not miss a thing. At almost two years later we still go back to the photos to relive our wedding. We're always so thankful we had them capture our special day. 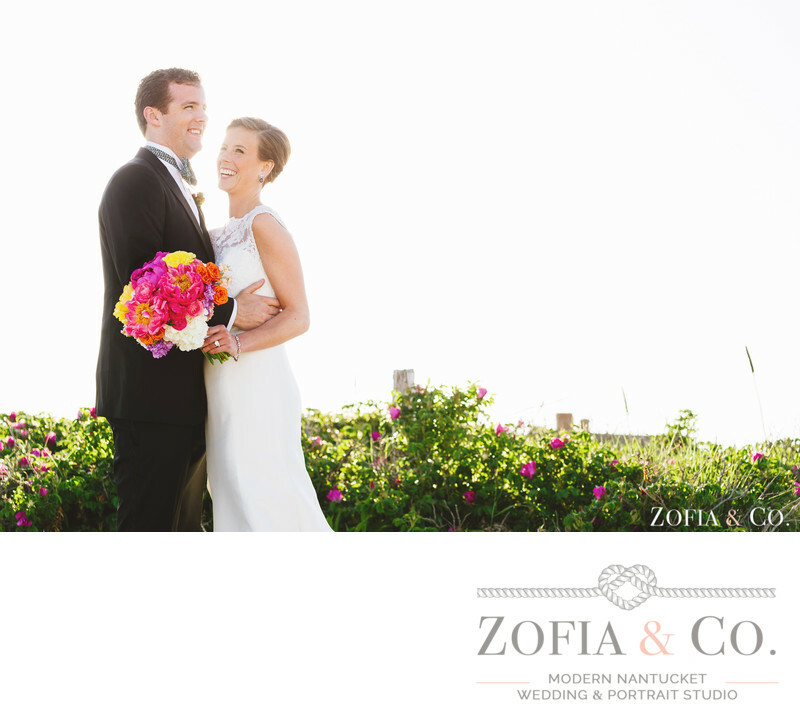 Zofia and Mark were such a huge part of our wedding. Their photos not only captured beautiful images but also captured the essence of our wedding. Every time I look at my photos I think how lucky we were to have Zofia and Mark as our photographers. Mark did a fantastic job. There is one picture of me walking across a bridge that when I show people they literally gasp. It is one of the most beautiful wedding images I have ever seen. I just showed my wedding pictures to one of my husbands friends last night and he said "Are these for Vanity Fair or something?'' He wasn't kidding. That is how beautiful the photos are. My husband and I feel so fortunate to have worked with them. 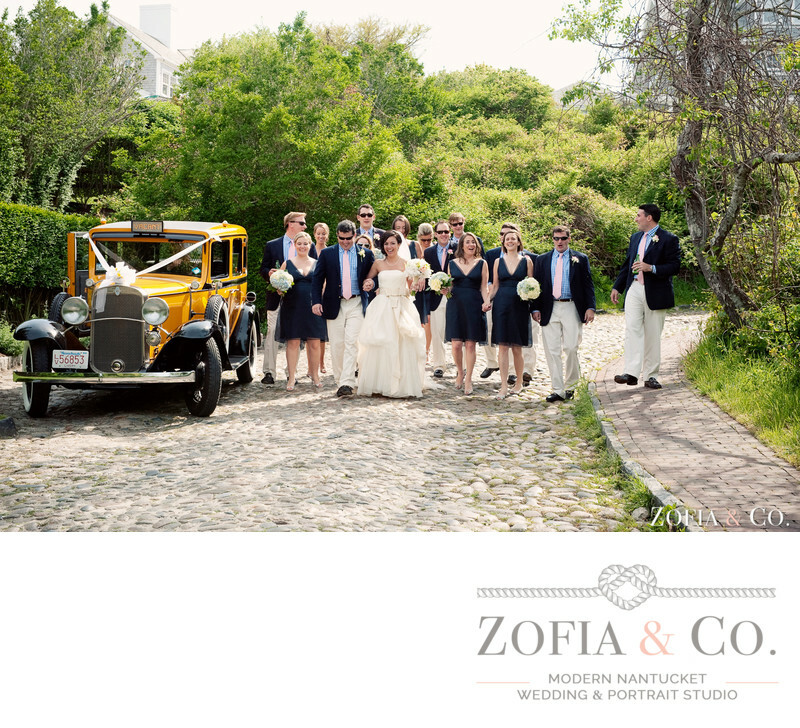 We had a destination wedding in Nantucket and knew nobody. 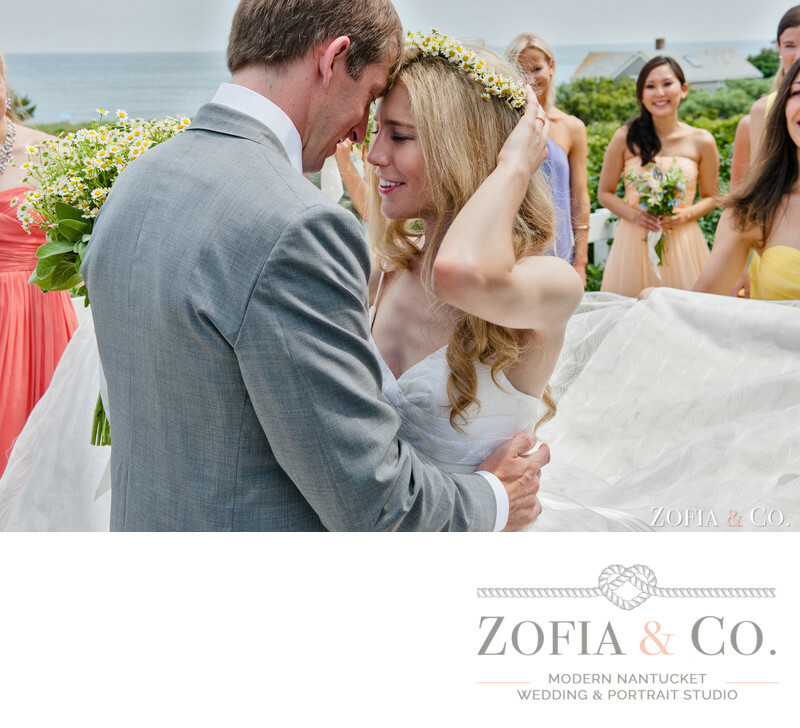 Luckily Nicole from Unique Nantucket, who was my wedding planner said "I'll try and get Zofia." Well it was the best thing that could have happened. Our engagement photos were so beautiful and Zofia was so nice. We had come over to the island for a day (we live in California and had come to Cape Cod in July for vacation and wedding planning) and the weather turned out to be not good. Zofia said "we can do shots if you want or we can reschedule. Or why don't we try and do some then if you can make it back over we will do more." So that's what we did. I mean really, most photographers would not give you that option. And the thing is she works really, really fast and makes it a lot of fun. We had a blast working with her. She is definitely the kind of person you want to hang out with and be friends with. Then the day of the wedding she was so great, getting so many wonderful shots but never getting in the way and never making us feel like we were missing any part of our wedding. We cannot stop looking at our wedding photos! They truly are works of art! Absolutely loved the artistic edge on the photos, especially the attention that was paid to small details! Greatly appreciated Zofia's timeliness with emails and general responsiveness, it made planning a destination wedding much easier. 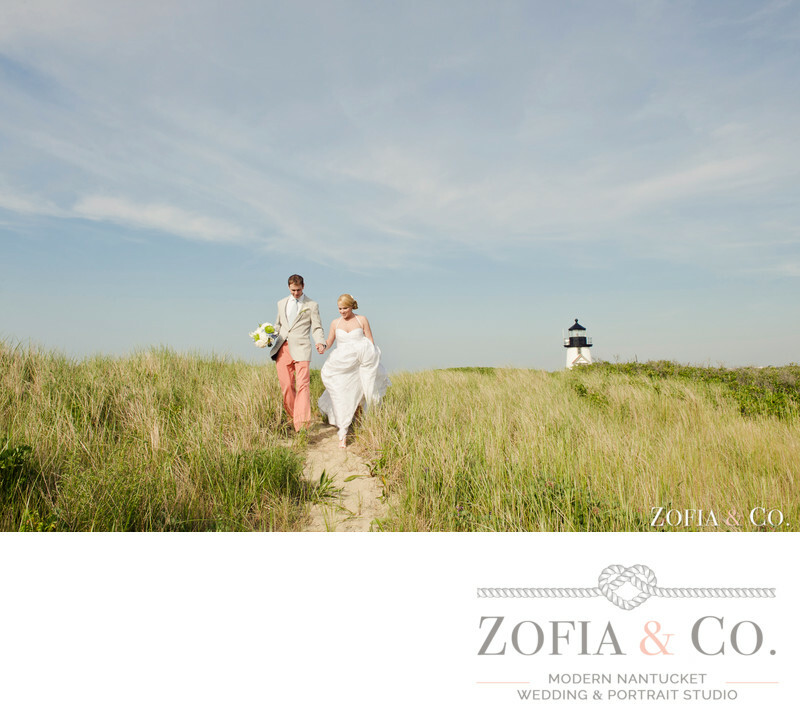 Planning a wedding in Nantucket from Denver, Colorado was a bit stressful, so having vendors that were responsive to emails and a destination timeline was a must. 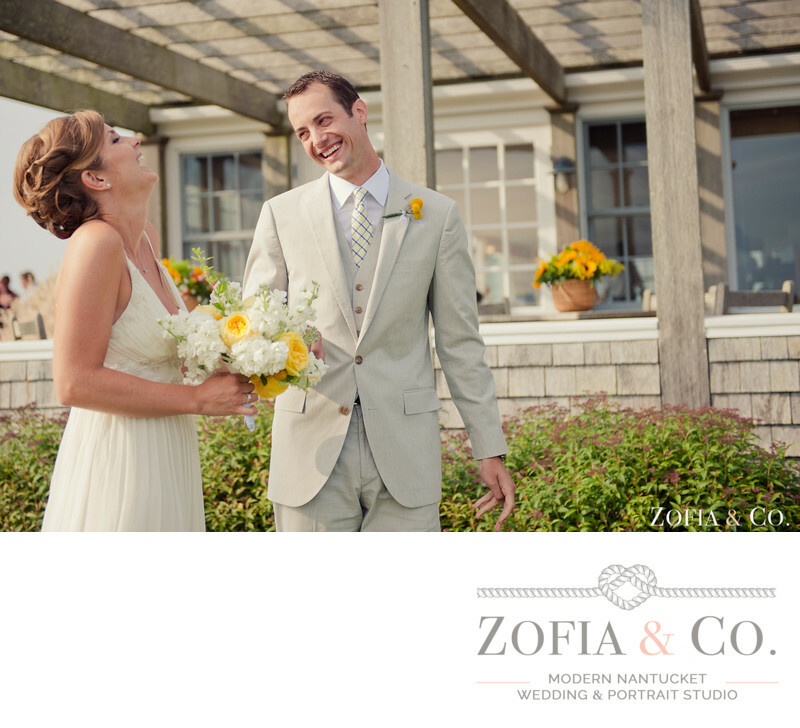 I had done a lot of research and Zofia's name kept popping up on all my favorite weddings on all the blogs. As soon as we met her (in the middle of Earl the hurricane) both my husband and I – and all of our family – knew that she was the right choice! She far exceeded our expectations for both our wedding and our engagement photos. She was incredibly flexible since the week of our wedding was the only time we would be able to have an engagement session and it rained that whole week. She was able to rearrange and have the photos on a non-rainy day and they are the best photos of us we have ever had! Not only that, we had a blast with her and it made the day of the wedding even better! We didn't want any of the cheesy posed photos, just the ones that would help us remember the day. I never liked any photos of people's rings or flowers before, but she somehow made all the details even more special! I loved the way that she made us feel special and the photos captured the true us. Zofia took engagement, welcome dinner, and wedding photos for my husband, Joe, and I this past June. We cannot say enough about her work, but really when we look back on the experience with Zofia, it was the 'little' things that were so helpful. Of course, looking at Zofia's galleries, one can see immediately that she is an amazing artist and has an eye for getting the right shots. But, Zofia is clearly a well-seasoned professional and has taken notes on past wedding experiences. At one point, I needed a mint, she had one. We needed a more beautiful hanger to display the dress on, she had one. We thought my makeup might get a little dull, she had face blotting pads. This woman is on the top of her game, and she is sweet at can be as well. Joe and I have confirmed that Zofia is the vendor we enjoyed working with the most, and she will always be someone special in our lives. In our opinion, if you're considering having Zofia as your photographer, there's absolutely no reason why you shouldn't hire her. It will be the best decision you can make during your special event. I knew I wanted to work with Zofia the very first time I visited her photo blog. When I began planning our September 2010 wedding in Nantucket I started by scouring the island and cape wedding magazines for ideas. Time and time again I would see Zofia's name next to the images I was drawn to, so I knew I liked her work, but I was blown away when I visited her photo blog. She uses light in such a way that you might think she controls the sun and sky on her very own. Her attention to the finest details and her artistic perspective create a beautifully edited image. Her talents are a gift and her lovely disposition and professionalism go without saying. Zofia, thank you for sharing your gift with us. The picture of our four-year-old ring bearer "stealing" a taste of our wedding cake tells it all. 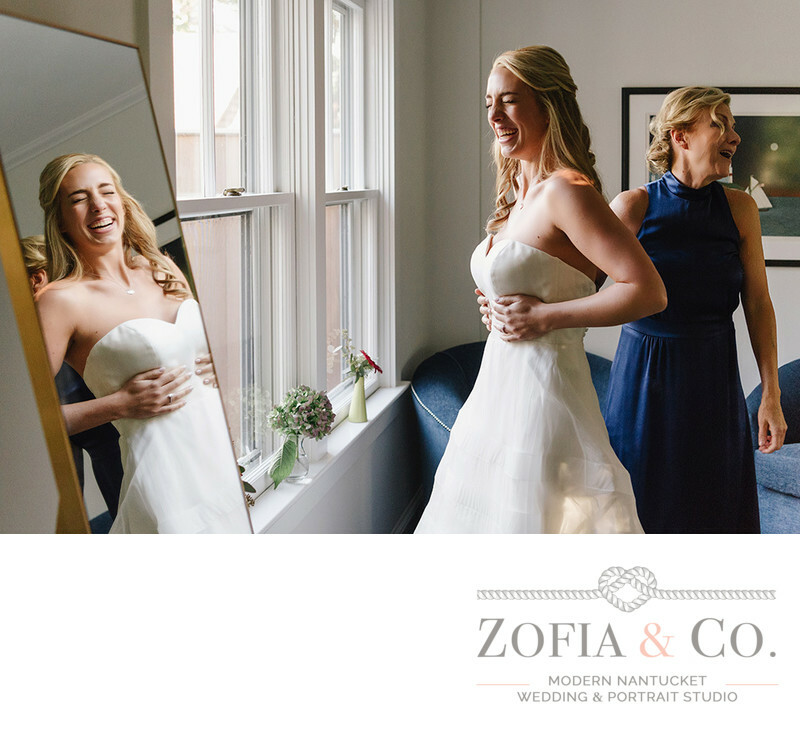 Talented, FUN and willing to go above and beyond in any way possible to support her clients, Zofia captures the little moments of your day that will tell the story of your wedding for years to follow. Connected to all people, places and things that are wedding on Nantucket, she is an amazing resource for any and all of your questions. The quality of her work speaks for itself. I cannot say enough positive things about Zofia! She went absolutely above and beyond for us. We immediately fell in love with her work after a single visit to her webpage, and although her prices were more than we could afford (though surely worth the cost) she was 100% willing to create a customized package for us that fit into our tight budget. From our very first meeting to designing our final wedding album, she was very pleasant and timely in her responses.